Swing Left is expanding the map! GOP incumbents have grown increasingly vulnerable in the past few months as the Republican House has voted for historically unpopular policies. That's why we're officially expanding the Swing Left map (AGAIN! 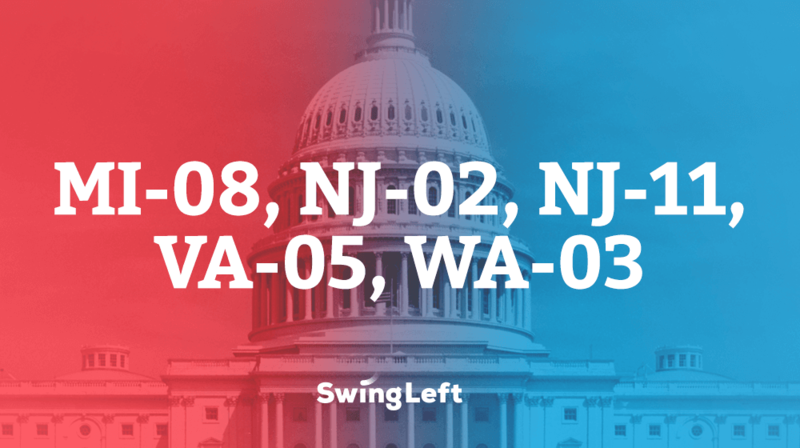 )—by adding five more Swing Districts we believe are swingable next fall. This brings our total number of Swing Districts to 70. Democrats will need to win back 24 seats to take control of the House.